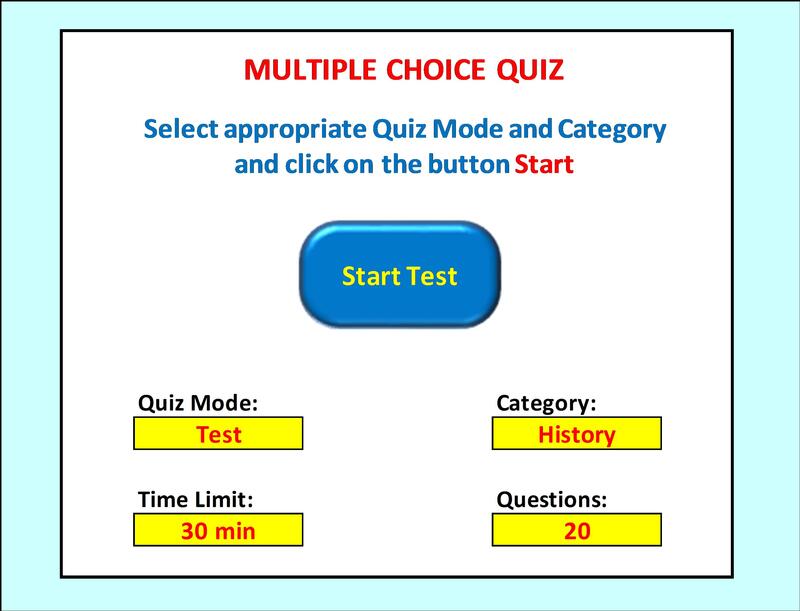 If you need a functional multiple choice quiz that can be used as a practice test to support your study or just a trivia game for your entertainment, this is the right place for you. 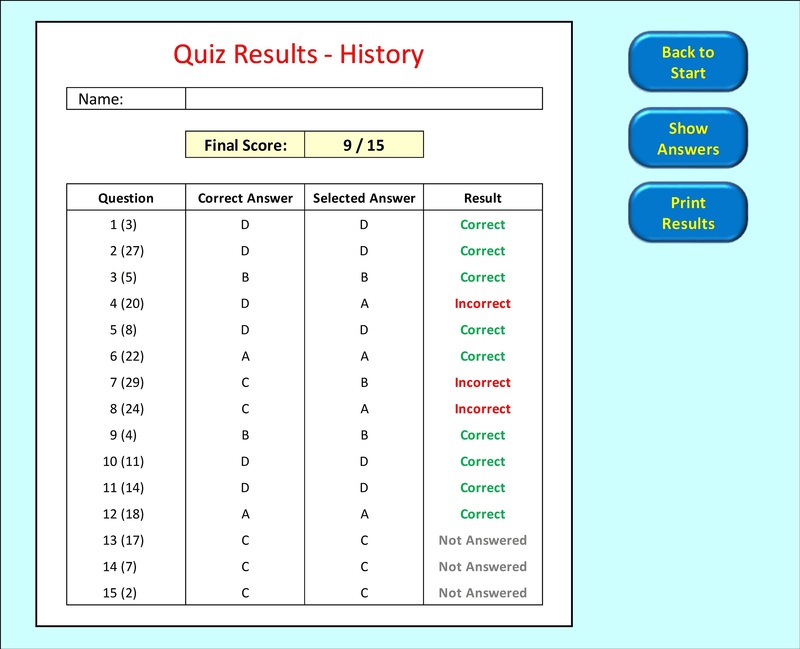 -	Summary of results (in the test mode) with the possibility of printing out. 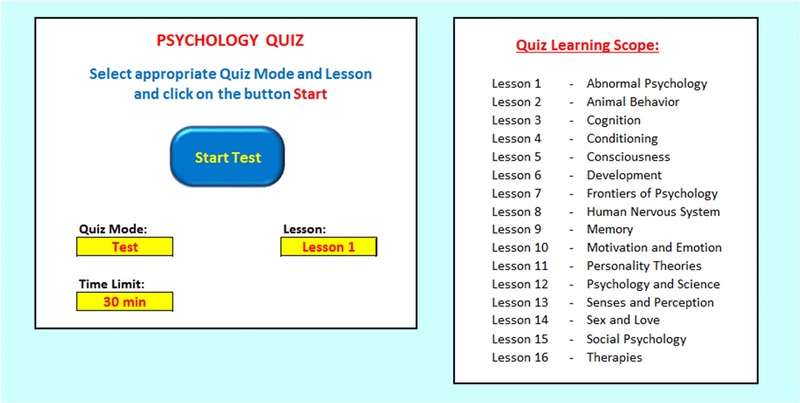 Please provide a list of all questions and answers (with the indication which answers are correct) in a tabular form, preferably in Excel format.